The winch can be controlled by a hand held remote control to allow the operator to stand clear and with an overview while controlling the winching process. 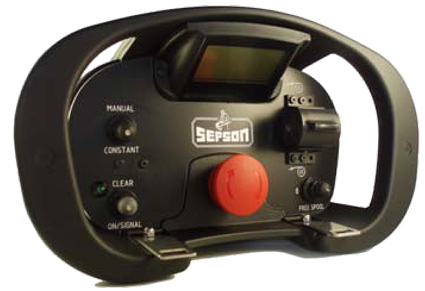 The control provides control of the forward, reverse or free rotation of the spooling drum as well as emergency stop. 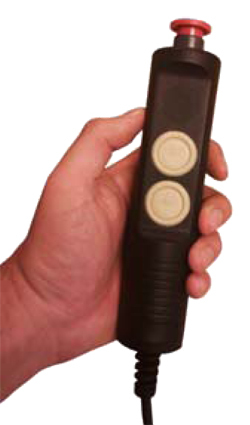 Sepson’s remote control are controlled by cable, radio signals or combined. 53.06.103 Midi Cable Remote Control, IN/OUT, free spool, emergency stop, PROP.